this is where the pudding comes from. 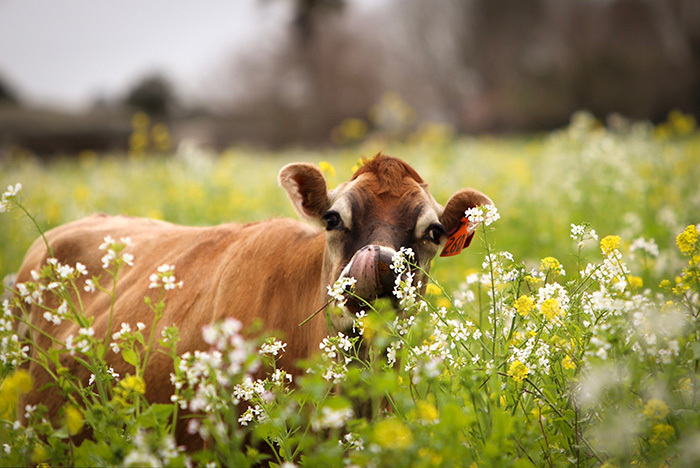 We source our milk fresh from our partners The Home Farm, a family farm established almost 100 years ago, which practises ethical, eco-friendly, biological and sustainable farming methods. A herd of Jerseys, a breed renowned for their high fat content and creamy milk is the key asset to the fullness of our gelatos smooth velvet texture and rich flavour. A family property passed down by multiple generations where now Ben and Sarah Troughton have taken the reins on the Troughton Road property and they guide it on a sustainable direction of diverse principles. A low intensity farm which puts the well being of the animals first, in the current trending climate the property could hold twice the head of stock. The Home Farm chooses a different approach with the future and preservation of the environment in mind, taking a path of quality over quantity, Kowhai Creamery believes this is where medals are made. 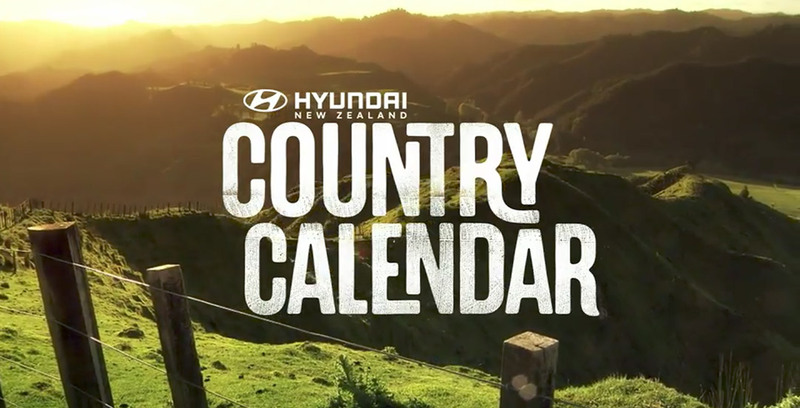 In the current climate of dairy presence in the media for all the wrong reasons, The Home Farm is a shining light of New Zealand farming, bringing back the goodness and wholesome side of agriculture, taking it back to the generation of our grandparents’ time, a time of honesty, love of the land and the animals that walk upon it. From the past they take their ethic, but for the future they steer their methods for the better. Majority of what the cows eat is grown on the property or 100% local, meaning they are proudly palm kernel (PKE) free. Fed on a variety of planted grasses and herbs, and a subsidy of crops, shaded by trees when wanted - it’s fair to say the cattle are well looked after and receive all that is needed for a well balanced life. Milked only once a day means less pressure, maintaining a healthier herd all round. The herd is split across autumn and spring calving, meaning the property produces a continuous supply of consistency and quality all year around. The Home Farm with it’s tracking and observation methods has proudly the most traced milk in New Zealand. 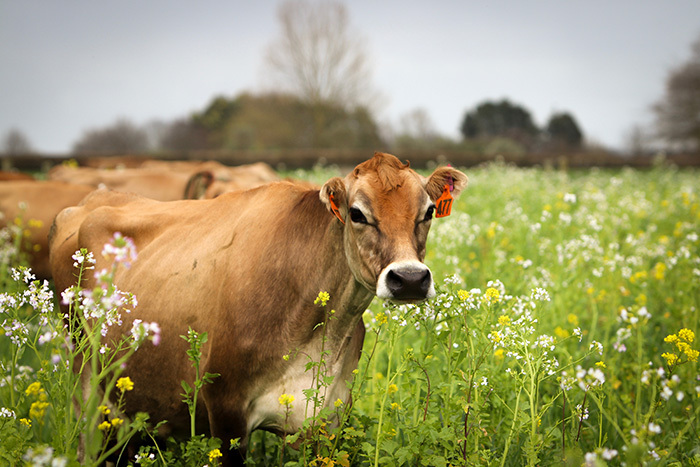 The property is a leading example of dairy farming and their efforts don’t go unnoticed, with four stations set up by the University of Waikato for research and development, the soil carbon is studied for the future of New Zealand farming practice. These stations test green house gases with on testing nitrous oxide in the soil, being the only one in the Southern Hemisphere implemented on a dairy property. This is an important factor in retaining nutrient quality soil, the base substance of quality grass growth which is the key ingredient for better milk, and better milk means better Gelato. We do not own the land, we are just landlords for our children's children. Gelato comes from milk, the milk is from cows, cows eat grass and that grass is grown from soil - this is why The Home Farm believes and invests in the land. The land is not just for us now, it is for our children and their children's children, this is why we must care and protect nutrients at ground level. It is water and soil that is the key to our future, as with out that there would be no Gelato. 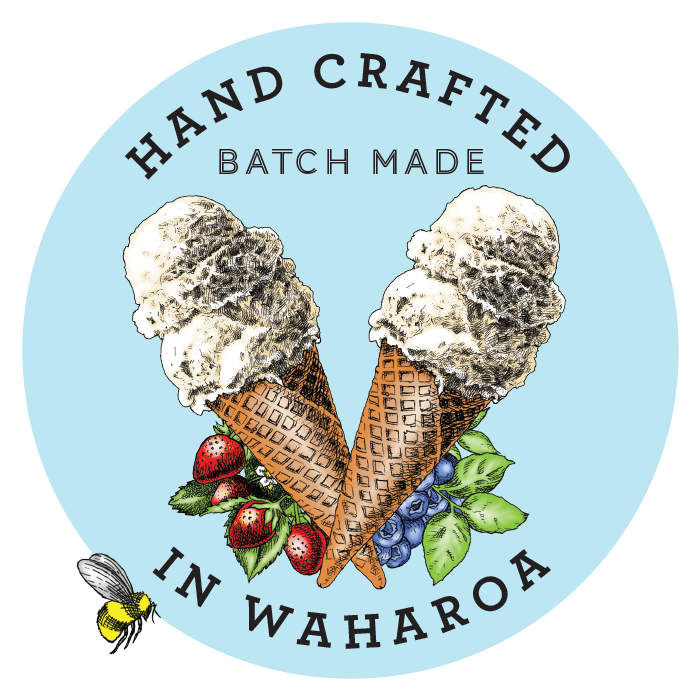 Kōwhai Creamery likes to think that our medals are made from the ground up. - Louis Schipper / University of Waikato.